In the post below, I mention usage rates and infused oils. The usage rates are just what I tried for this test. They are not right for every soap recipe or every soap maker. I try to always add just enough and not overdo it (so the lather in my soaps is always white). You should test your own soap additives and never add more than what’s recommended as safe for the skin. You’ll notice that my infused oils in this post are mostly done with olive oil. It’s simply what I had at the time. I use a grade A olive oil from Soaper’s Choice that doesn’t affect the color of the herb or spice. But normally when infusing oils, I prefer high oleic sunflower oil due to it’s very light color. Because a recipe can definitely affect the color of the soap, I wanted to include this, as well. I used my slow-tracing swirl recipe (5% Superfat). This recipe can take longer to remove from the mold (depending on the environment and your water usage) and longer to cure; not to mention the infused oils that are added to each cup of soap. 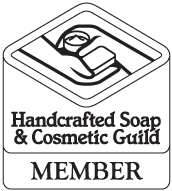 I do use a water discount, but most of my heavily natural colored swirl soaps need 6 weeks minimum to cure. But they still make great soap when they’re finally ready. Each herb, spice, or clay was either dispersed in water/oil, infused in oil, or added straight to the soap at trace. I’ll describe that below and how much of each I used. When I started to prepare the recipe for these tests, I intended to just make a single soap with each herb, spice, or clay. But because I wanted the soap to gel and can never get my single guest soap tray to ever gel consistently (especially in Winter), I decided to just do 3 separate batches with swirls of colors in each batch. Granted, not knowing exactly how the colors would end up in the final soap was a gamble. And I did end up with one super ugly batch. This was, hands down, the ugliest soap of the three. I think I really expected the Madder root to be more of a pink color (I’ll use less next time). And even though I made an infusion with the Madder root, I obviously didn’t strain it enough (speckled). I also ended up blending the Safflower soap WAY too long which wreaked havoc with my circling Taiwan swirl. But I did find a beautiful lime green (Nettle Leaf) and pale yellow (Safflower) that I will continue to use (the soap below is a better example of these two colors). As I mentioned, my circling Taiwan swirl really didn’t swirl very well due to me over-blending the yellow. But I did end up with a cool alien spider swirl. You can also see the yellow and green a bit better here. Of the three batches, this was my favorite because I discovered a red that I really like. And it wasn’t the Moroccan red clay (which is tan and, shockingly, turned out tan in the soap). Red Sandalwood powder made a really beautiful maroon red. I added a bit of activated charcoal to the indigo root to create a slightly darker blue. Okay, this soap is probably tied with the first one in the ugly department. I didn’t plan my color combinations very well. But, again, I got some good information out of the test. A pretty soap would have been nice, too. Oh well. I’ve had experience with all of the herbs and spices in this test, except for Spirulina. I really don’t like Spirulina. It must be added as a powder to get that dark green and it comes out speckled. I tried dispersing it in distilled water first and, man, did that stink. It does produce a pretty green color, but it doesn’t hold up well and will eventually turn brown. I also tried an infusion with it but ended up with a pea green color I didn’t like. My main takeaway from this soap test is a better usage rate for Alkanet Root. Out of a fear of ending up with a gray soap, I’ve always just used too much Alkanet infused oil to get a dark purple. In this test, I used a bit less and got a beautiful lavender color. As always, the Annatto seed imparted a lovely yellow color. Loved your post! You’re quite the combination of scientist and artist! Amazing talent and hard work! I think your first soap is the prettiest! I tried red sandalwood but I got a pale beige! Though I had used a lot. Strange. The Infusion was a gorgeous red, but the soap was common. I shall try again! Thanks for that interesting post! Hi Holly! I am super excited to find your blog! You have so many amazing soaps. I have been practicing making soaps and learning basic soap making over the last few months and decided I wanted to use natural colorants rather than purchase synthetic types. I have been experimenting lately and having so much fun! I am going to start doing some oil infusions so your blog is so very helpful. I have tossed just a few different things into the batter to see its affects. Indigo/henna made a very nice green that was not gritty at all. Turmeric produced a great peach but was gritty. Anyway, thank you for sharing! You have such amazing soaps and really wonderful blog and videos! I have watched the You Tube Video a half dozen times for the Teardrop Swirl you did! It’s just lovely. how do you do the calculations to account for the extra olive oil from the color infusions? For example, if all of the colorant-infused oil adds up to 1/4 cup or whatever, do you subtract this from the amount of olive oil in the recipe? I’m new at coloring soap and you’re my new mentor for that as your colors are so subtle and calming. Thanks so much. Beth, thank you! And thanks for watching my video. For the Teardrop Swirl, I modified one of my slow-tracing recipes that I had previously used for the Ebru soap challenge. You can see the recipe I modified here in this post – https://kapiamera.wordpress.com/2015/06/17/ebru-soap-challenge-for-amy-wardens-soap-challenge-club/ I simply reduced my olive oil to 42% and upped my Avocado to 8%. I watched your video…it was great! When you added the infused nettle to the olive oil that you kept aside, how much of the infused nettle did you add to that olive oil, or did you infuse that batch separately? Holly! I can read your blog and watch your videos for a whole day. You combine art and soap science so great. Your soaps are beautiful!!! I’m enthusiastic how you use only natural ingridients including natural colors in soaps in artistic way. I do my own natural cosmetic and with your huge help I will do soaps on much higher level as I did in the past. It’s a challenge for me, but your soap creations inspire me that I’ve desided to try some of your recipes. Thank you again for sharing your knowledge, talent and wealthy experiences! Your creativity is such a pleasure and inspiration.